Primary Arms announced the 3-18×50 First Focal Plane Riflescope with HUD DMR .308 reticle is officially is in stock and now shipping to consumers. Powered by its HUD DMR reticle, the holdover reticle features target range estimation, bullet drop compensation, wind holds and moving target leads for three target speeds. Boasting a first focal plane configuration, all calibrations are true at all magnifications, according to Primary Arms. “There is no guessing or ‘Kentucky windage’ with HUD DMR—the scope provides detailed, carefully tested holdover points to apply in a wide variety of real world shooting situations,” Primary Arms said in a news release. 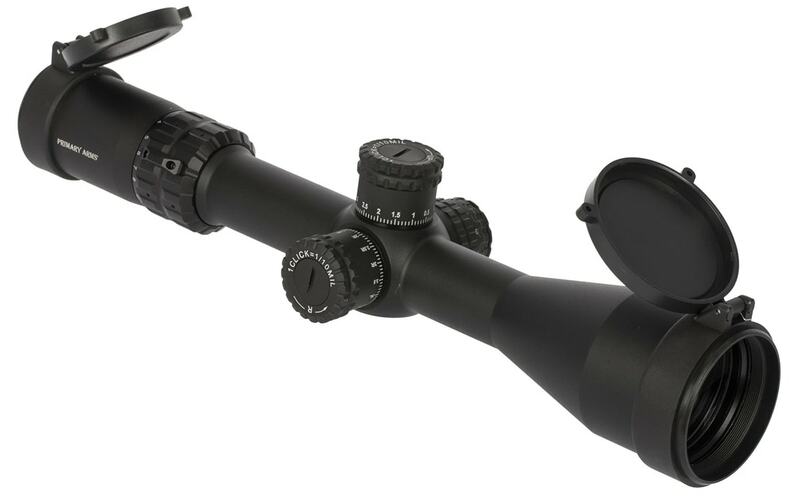 Outfitted with resettable windage and elevation knobs, the scope achieves 0.1 MIL adjustments. Parallax adjustment and partial red reticle illumination are controlled via the same knob location on the left side of the riflescope while a quick adjust diopter ring keeps the reticle crisp and clear. The matte black anodized finished scope is both waterproof and fog resistant and includes a flip cap for added protection. The 3-18×50 First Focal Plane Riflescope HUD DMR .308 model is available now while its counterpart the 3-18×50 First Focal Plane Riflescope with HUD DMR 5.56 reticle is available for pre-order with expected ship date in late November or early December 2018. 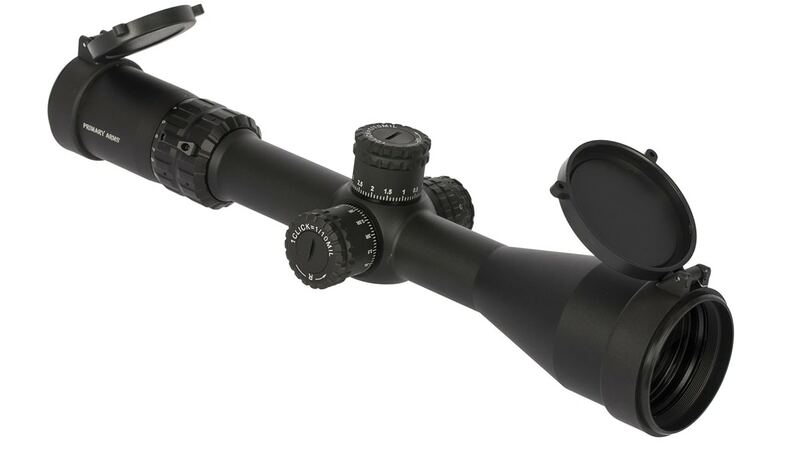 The 3-18×50 First Focal Plane Riflescope with HUD DMR .308 reticle is priced at $499.99.